Investigators are requesting assistance from the public in identifying and locating two persons of interest in a homicide that occurred two years ago this week in Elizabeth, acting Union County Prosecutor Grace H. Park announced Wednesday. The Prosecutor’s Office today is releasing video clips depicting the male and female, pulled from surveillance footage recorded shortly before the fatal shooting of 20-year-old Earlquan Moore. At approximately 3:15 p.m. on Saturday, May 23, 2015, Elizabeth Police Department patrol units responded to the 200 block of 3rd Street in Elizabeth to find Moore, who had been shot in front of a residence in the area. He was rushed to Trinitas Regional Medical Center, where he was pronounced dead a short time later. 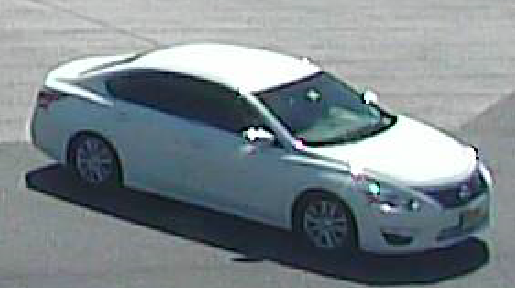 In the video clips, the two persons of interest can be seen walking near the passenger’s side of a white four-door Nissan Altima from the 2013-2015 model years. The male appears to have long black dreadlocks and is pictured wearing a white T-shirt and dark pants with a belt, while the female appears to be wearing a white tank top and dark pants. The shooting remains under joint investigation by the Prosecutor’s Office’s Homicide Task Force and the Elizabeth Police Department. Anyone with information about the death of Mr. Moore is being urged to contact Homicide Task Force Sgt. Jose Vendas at 908-358-3048 or Detective Sofia Santos at 908-577-4256.